Is Restorative Yoga The Next Great Medical Treatment? Restorative yoga is a form of yoga that tries to achieve physical, mental and emotional relaxation with the benefit of props. The use of props makes it easier for you to sustain balance while you are stimulating and resting your body. While some restorative yoga poses are helpful to the entire body, others target particular parts of the body, such as the heart or the lungs. Restorative yoga is a unique form of yoga in which participants hold fewer asanas (poses) for longer periods of time. There are usually only five or six asanas held for anywhere from five to twenty minutes each. In each position, the head is below or at the heart, in order to promote circulation and increase blood flow. Props are often added for support, such as blankets, blocks, or bolsters. This ensures that there is little effort once you’re in the position so you aren’t distracted. A session usually begins with a brief series of standing exercises to warm up the body before moving on to your extended asanas on the floor. An average session is 60 to 90 minutes long. B.K.S. Iyengar, who is considered one of the fathers of modern yoga, invented restorative yoga in India nearly a century ago. Although yoga students in the Western world typically start with more active practices, such as Hatha or Vinyasa, students in India are often required to study and master restorative yoga for many years before moving onto these more challenging forms. 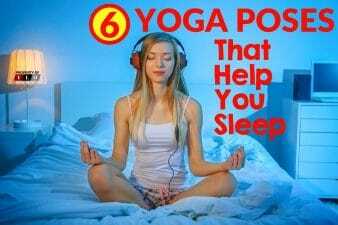 The purpose of this type of yoga is to relax, focus on breath, and prepare for meditation. The slower pace and the fact that asanas are held for longer periods of time allows for the mind to calm. Deep emphasis is placed on connecting with your emotions to allow for healing. In terms of physical fitness level, restorative yoga is a great option for beginners or those with injuries. You still receive the benefits of the poses without taxing your body or risking injury. It is also easier for those who are out of shape since it is less active and the muscles are given a break once you are in a position. Unlike Hatha or Vinyasa, it is completely focused on relaxation rather than strength or cardiovascular activity. It is intended to nurture the mind, body, and spirit. Furthermore, it allows you to recognize the parts of your body that are holding onto stress and tension so you are better equipped to release it. Restorative yoga has many benefits for your physical, mental, and emotional health. Other types of yoga can actually be harmful to those with injuries or those who are not in great shape. They force the body into unnatural positions, which can cause further injury. They are better suited for students who have been practicing for a while and are more flexible. However, restorative yoga is great for increasing flexibility, which also reduces the risk of future injury. This is because the stretching involved is largely a result of gravity, rather than active force. This makes it safer, especially for those who are stiffer or injured. • Improved posture, circulation, blood pressure, and lower cholesterol levels. • It is good for alleviating back, hip, and neck pain. This is because, much like visits to a chiropractor, it is good for achieving optimal alignment. • It also improves cardiovascular and respiratory function. • In addition, it can help boost the immune system. • It calms the nervous system by stimulating the parasympathetic nervous system, which slows down heart rate and breath. This reduces the fight or flight response. • Certain positions can also help improve digestion and constipation by massaging the organs. • Furthermore, this form of yoga can decrease inflammation within the body and increase blood flow. Restorative yoga is also good for weight loss. It speeds up metabolism and reduces cortisol levels. High levels of cortisol are linked to storing excess fat, heart disease, and high blood pressure. This also makes it helpful for diabetes management. One study by the American Journal of Lifestyle Medicine Restorative Yoga in the Management of Overweight and Obesity confirms that this type of yoga aided in fat loss. However, in order to see these effects, it is important to combine it with exercise and a healthy diet. 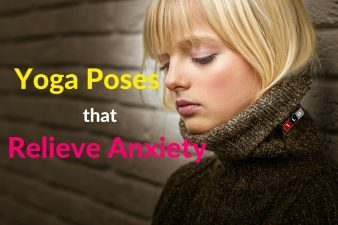 On a mental level, this type of yoga improves cognitive function, including memory, concentration, and awareness. It increases focus on daily life, allowing you to be more productive and efficient. It quiets the mind, allowing for mindfulness and preparation for meditation. Restorative yoga can be beneficial for nearly everyone. However, there are certain groups of people that will get the most out of it. It is ideal for those with back pain, sciatica, fibromyalgia, high blood pressure, and muscle tension. It is also good for those with IBS and other digestive issues. Since restorative yoga focuses on emotional healing, it is also helpful for those suffering from anxiety, depression, or insomnia, as well as other mental health disorders. Similarly, it is valuable for those going through addiction recovery. This type of yoga is optimal for the elderly and those recovering from injury. It can be used as a form of physical therapy, with a doctor’s guidance. The practice can easily be adapted to individual needs in order to benefit even the most fragile and out-of-shape patients. As previously mentioned, restorative yoga has been shown in studies to be useful for cancer patients. In addition to helping with their depression, it can help them deal with the stress of recovery and chemotherapy. It also boosts their immunity. Metabolic syndrome is another issue that can be addressed. One study by Metabolic Syndrome and Related Disorders found that this type of yoga was helpful in treatment. 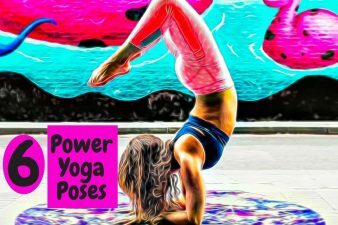 Moreover, for those who are overweight or suffering from diabetes, this type of yoga can help them manage their weight by boosting metabolism and decreasing cortisol levels. While there is no quick fix, there are things that you can do to help you see results more quickly. This is largely determined by how frequently you practice. Generally, shorter and more frequent sessions are better than longer and more sporadic. Practicing three to four times a week is ideal, especially for seeing physical benefits. However, mental and emotional benefits can be seen from practicing just once a week. Still, practicing several times a week leads to quicker and longer-lasting results. On the opposite end of the spectrum, taking less than one class a week can be problematic because you will practically be starting from scratch each time. It is also essential to make sure you are taking the right classes. At least initially, it is important to go to in-person classes rather than watching videos at home. This ensures that there is a teacher present to correct your form and prevent harm. Still, not all instructors are created equal, and having the right instructor can make all the difference. It is important to find someone qualified, who understands physics and anatomy. See if you can get a referral from your physical therapist or doctor. Once you are healed and more advanced in your practice, you may start using online videos at home regularly to maintain your practice and results. It is equally important that classes and home-practice take place in the right environment. Classes should be peaceful and non-judgmental. The home environment should be free of distractions. Dim lighting and soft music can help to create the best atmosphere. Restorative yoga is the best alternative or supplement to traditional medical treatments for a variety of different ailments and diseases. It enhances overall well-being. By decreasing stress levels and improving sleep quality, it is able to improve numerous health conditions that are often linked to these issues. It is also able to help with mental health disorders due to its emotional healing capabilities. While practically anyone can do restorative yoga, certain precautions should still be taken. Depending on the ailment, restorative yoga should be supplemented with other treatments, such as a healthy diet and physical therapy. 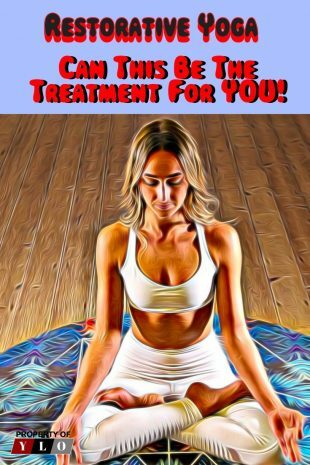 You should always consult with your doctor before attempting a new alternative treatment, such as yoga.